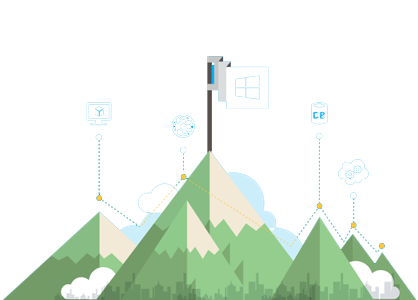 Azure is the most open, broad and flexible cloud platform for every customers needs, regardless of the application, framework, data source or operating system their solution may require. Whether you’re interested in various Linux flavors, Docker, MongoDB, Hadoop or languages like Java, Python, PHP and Ruby, you will find first-class support for all. This is the second webinar of a series around OpenSource on Azure, and it will provide an insight of Azure Websites. Azure Websites is a fully managed Platform-as-a-Service (PaaS) that enables you to build, deploy and scale enterprise-grade web apps in seconds. Most importantly, it speaks your language – be it ASP.NET, Java, PHP, Node.js or Python. You can also run your favorite web apps and CMS solutions including, but not restricted to WordPress, Drupal and Joomla. Register today for this webinar!